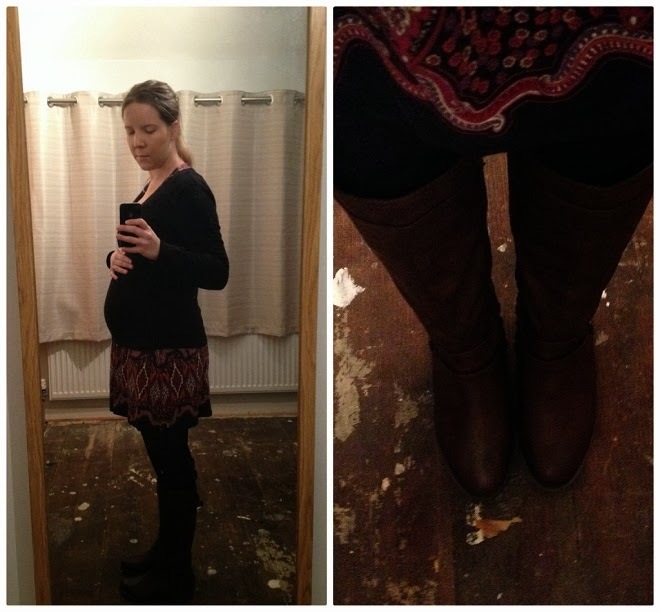 At 28 weeks + 5 days pregnant, finding things to wear is getting a little bit more challenging. 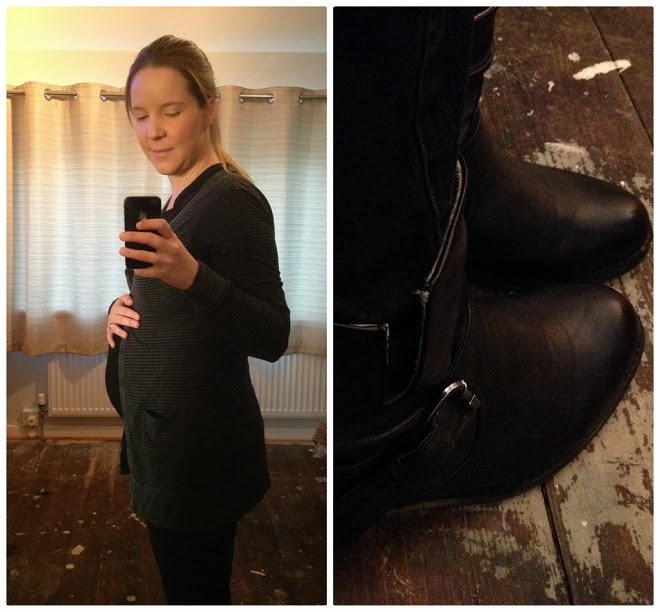 Saying that, I am super lucky to have quite a neat bump so I am enjoying it while it lasts. 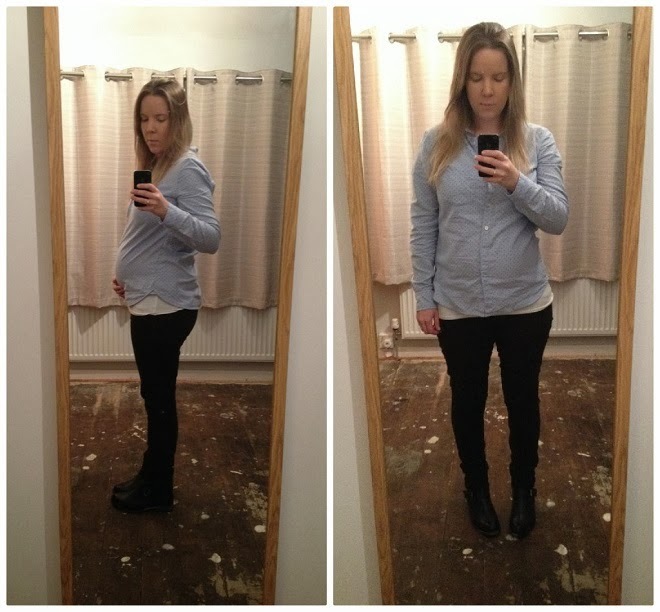 I am still able to wear one pair of my jeans but slowly these are becoming more uncomfortable so leggings and maternity jeans are becoming a staple in the wardrobe. 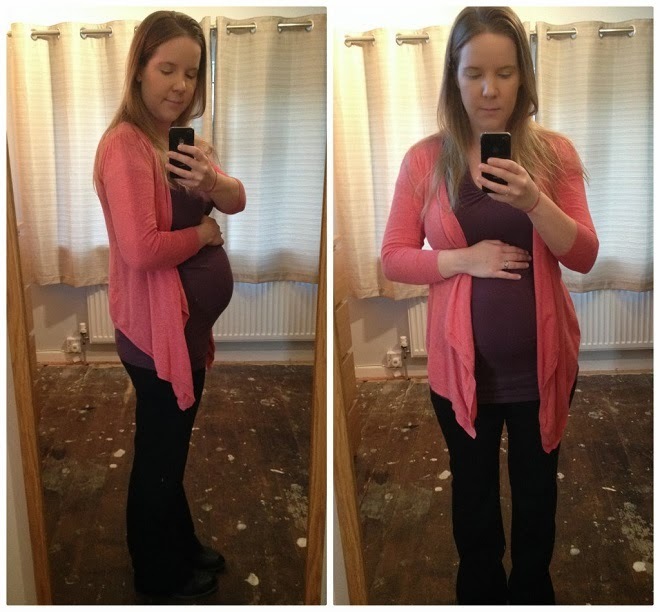 I have invested in a few long vests tops as well as some tunics. 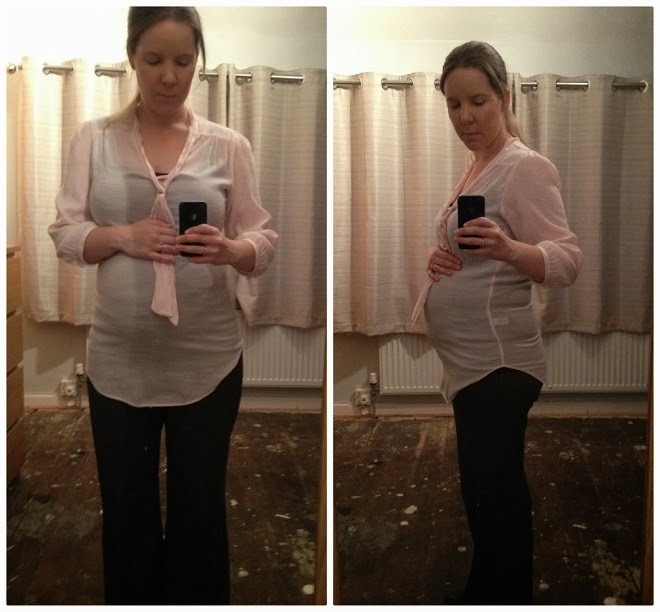 I am trying to avoid loose maternity tops as they are quite tent-like and don't really flatter my figure. 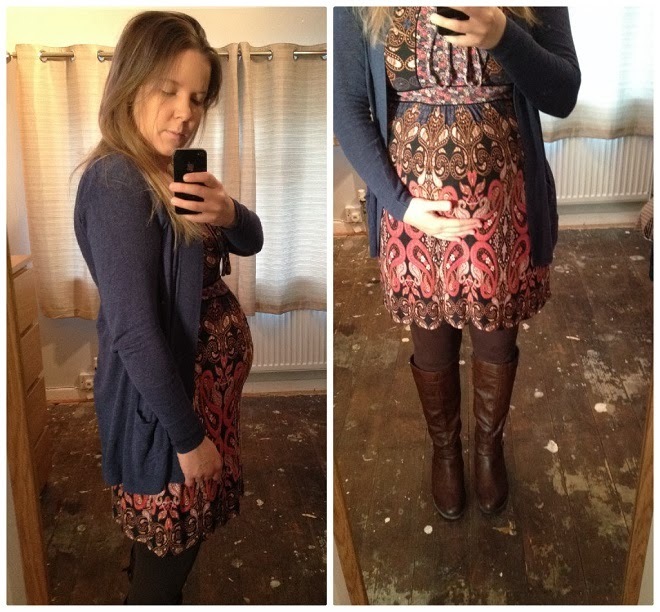 I am not ashamed to say that nearly all of my maternity clothes I have bought off ebay second hand. They are all in pristine condition and are a bargain compared to the prices you will pay in the shops. I have invested in two pairs of boots this winter, one brown knee-length pair and a pair of black ankle boots which are super comfy too. I have been in the UK 8 years and this is the first time I have bought two pairs of boots as well as spending a fair bit on them - there is no point, in my opinion, buying cheaper boots every winter which only last one season. So I splurged! Please excuse the quality of the photos, taken in the morning while I get ready for work - the lighting is not optimal and also, we ripped up our carpets in anticipation of our news ones being installed next week so that explains the industrial looking wooden floors too! What I am wearing inspired by Nikki.